Rachael Elkaim and Michael Hanisch were married on the August 20th 2017 in Sydney, Australia. Their wedding was held exactly 12 months to the day after completing their final leg of the Triple Crown of Open Water Swimming [at the 20 Bridges Manhattan Island Swim]. Elkaim and Hanisch are the 12th and 13th Australians to achieve the Triple Crown of Open Water Swimming. The two marathon swimmers met during their training for the English Channel in 2014. Hanisch is originally from North Queensland on the Great Barrier Reef; Elkaim is from Sydney. They met through Elkaim's (and now Hanisch's) open water swimming coach Vlad Mravec of Vladswim after a chance meeting between Hanisch and Mravec at the 2014 Rottnest Channel Swim in western Australia. Three years later Hanisch proposed to Elkaim after she had won the prestigious 25 km Hotel Rottnest Port to Pub Swim (see his proposal here). The couple married on Sydney Harbour in front of close friends and family. 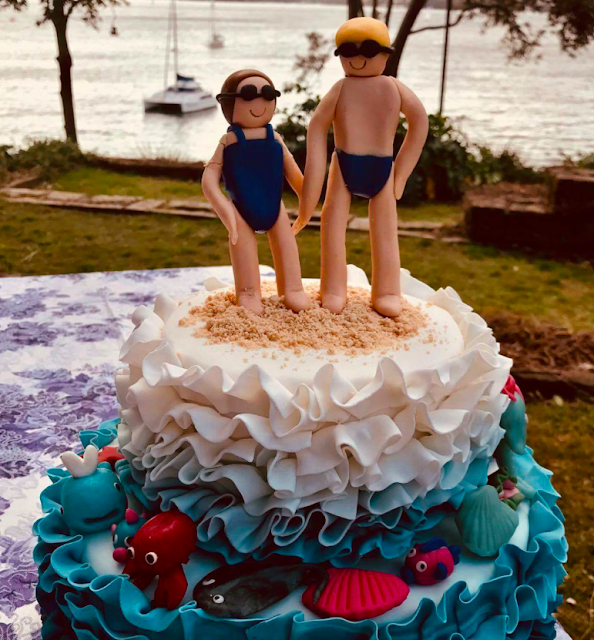 The wedding was well attended by the Australian open water swimming community including several English Channel swimmers and fellow Australian Triple Crowners Tori Gorman, Dean Summers and Marty Filipowski. Hanisch explained the background to their union. "Straight after our English Channel swim, Rach was looking for the next goal. I was somewhat more content to rest on my English channel achievement. The Catalina Channel was one of the top challenges on her list. I didn't have the same desire to do Catalina ... but I wanted to do Manhattan. In the end, we planned an epic USA open water swim holiday: 3 weeks to do Catalina, Around the Rock (Alcatraz Island) and then the 20 Bridges Manhattan Island Swim. It all just fell into place." While it is the usual set of circumstances to find one's spouse in the open water swimming world, it is certainly rare. 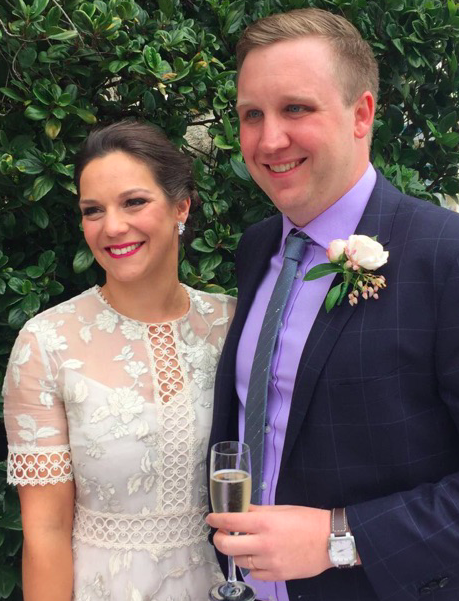 "[Marriage] certainly isn't why we got into the sport and isn't the reason we chose each other," said Hanisch. "It is just a great coincidence that we met while chasing the same goal." He explained their mutual goals in training and innate competitive racing nature. "There is no question that Rachael is a better trainer than me. We definitely support each other in swims, however both of our competitive natures almost always come through at some stage in every swim. We have swam one Rottnest Channel Swim tandem and did the Catalina Channel crossing as a tandem. After these experiences, we have decided to avoid swimming tandem in a race environment in the future ... for the health of our relationship."